Recently, I picked up the iPad and started drawing, using primarily two art apps, ArtStudio ($4.99) by Lucky Clan (raster-based), and Inkpad (FREE) by Taptricks, Inc. (vector-based). I created together a series of images and presented them at a meeting about art apps titled A Quick Tour of Art Apps for iPad, at Cleveland Digital Publishing Users Group (CDPUG) on March 27, 2014. Here are some of my iPad images. 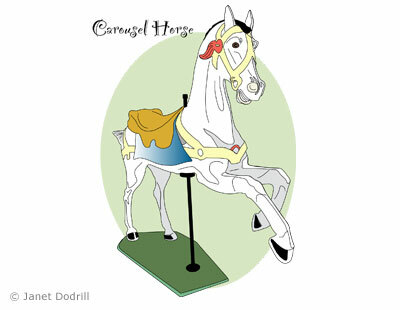 Carousel Horse iPad Art by Janet Dodrill. 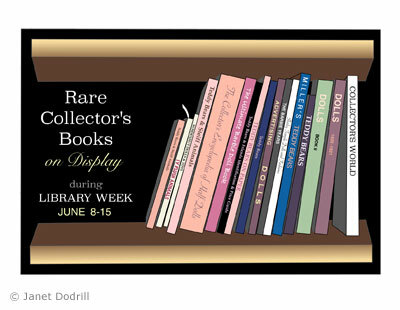 Rare Books iPad Art by Janet Dodrill. 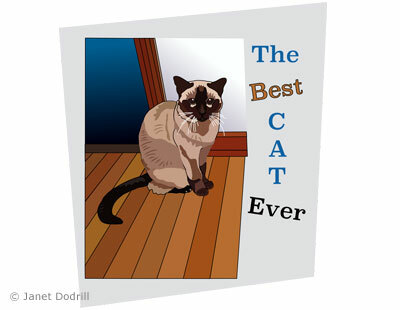 The Best Cat Ever iPad Art by Janet Dodrill. 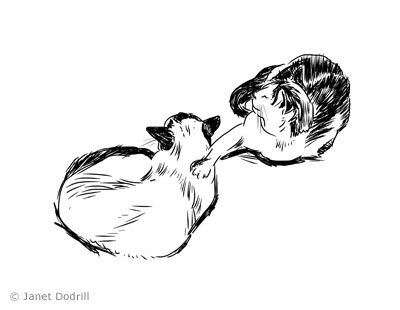 Two Cats iPad Art by Janet Dodrill. 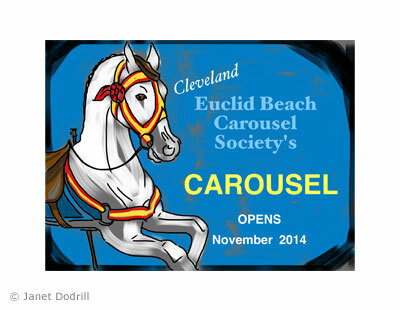 Cleveland Euclid Beach Carousel Society iPad Art by Janet Dodrill. 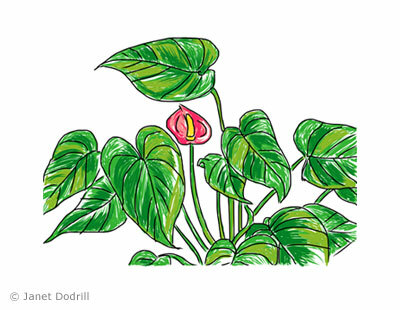 Peace Lily iPad Art by Janet Dodrill. 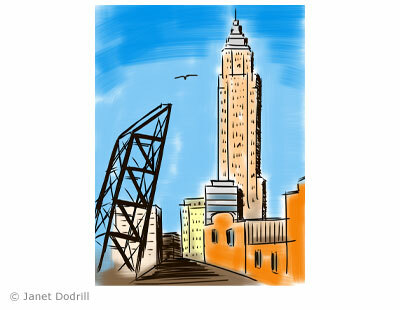 Cleveland iPad Art by Janet Dodrill. 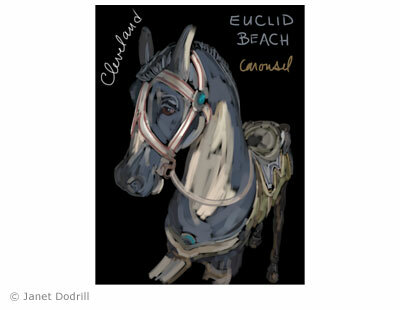 Carousel iPad Art by Janet Dodrill. 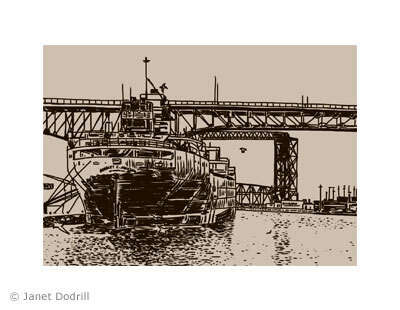 Cleveland Ship iPad Art by Janet Dodrill. Note: This material posted in preparation for Cleveland Digital Publishing Users Group’s “A Quick Tour of Art Apps for iPad” presentation, March 27, 2014. Featured speakers include Nancy Dinger Aikins, Henry Lee, Janet Dodrill, Marvin Sable.